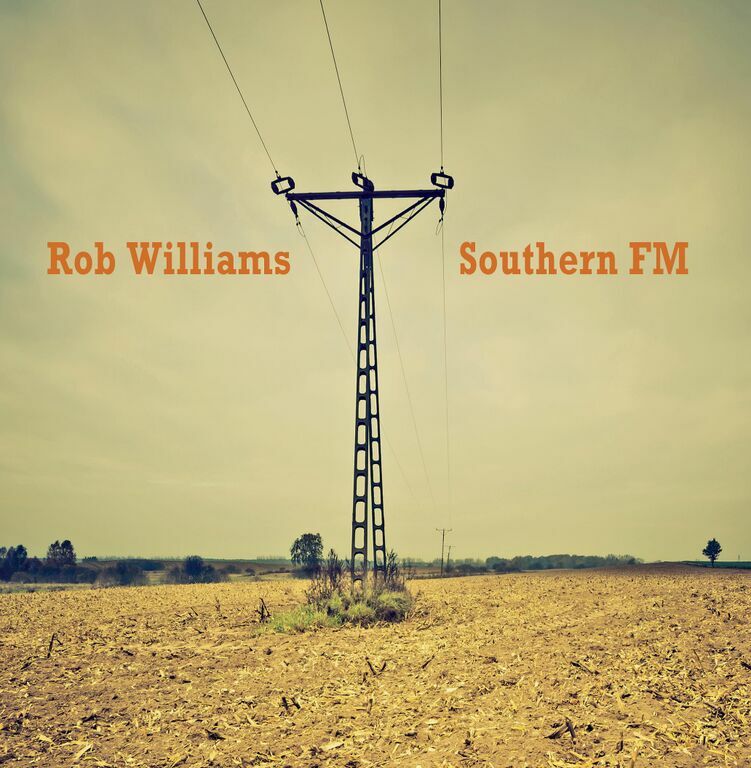 Rob Williams will release his latest project, “Southern FM” on December 14th. From Virginia, Williams is rooted in folk, rock, and americana music. Artists like Tom Petty, Bob Dylan, Neil Young, Creedence Clearwater Revival, and The Band come to mind when listening to his sound.​ In 2013, Williams realeased his first solo LP, “A Place In the Sun.” What’s significant in Rob’s story is that previous to his recent music career he was not in the arts. He worked as an educator​, married, and living in his hometown. It’s this life experience, this seasoned sound, and wise delivery that makes Williams’ a beautiful distinction – not everyone has a story. ​The album begins with a bang. ​ “Footprints” is the first song the listener hears. Upbeat and with a full band it sets a nice tone for the songs to follow. Williams sings, “You’ll see footprints​​ walking away, that’s me saying goodbye. ​So long.​”​ ​Th​is​ song​ conjures up the painful feeling of​ unreciprocated love. It also conjures up that moment when one realizes it’s time to leave the one you love in the past. Saying goodbye to someone that just can’t give you what you want and what you need is one of the hardest things to do. It’s hard, but when it’s time to go, one knows and heeding the call often leads to better things. “Footprints” also explores that meaningful and hopeful feeling we often carry thinking our forlorn love may not be in vein, they may in fact change their mind – so then we move on but also keep the door open. ​Williams is a storyteller. One can hear this on “Sometimes It’s A Song”, where he sings, “Sometimes it’s the rain you hear and sometimes it’s a song. Lately this whole drifters world don’t fit me at all.”​ The simplicity of this song enables the beautiful piano counterpoint, the wistful lyrics, and the affable melody to sit naturally on the ear in a quite lovely way. We make choices in life, there’s a give and take. To have the life we want, we often have to choose between love and success, and as you gain one thing, you often lose something else. This sentiment of what we lose and give up, what we miss when it’s gone, and what those holes have been replaced with is beautifully evoked. Overall, there’s a nice range of instrumentation on the album, lending itself effectively to the needs of each track. Some tracks are better acoustic, some are better with a fuller band sound. Williams understands this and this distinction makes for a well rounded album. “You’ve been a Bad Christian” and “Henry and Maria” are my least favorite songs on the album. However, each song has a beautiful story, a message, and a lovely simplicity. I recommend this as a Winter download. Stay up to date on Williams’ website. Watch videos on his Youtube page. Listen to music on his Bandcamp page. See images on Istagram, and stay up to date on his Facebook and Twitter pages.